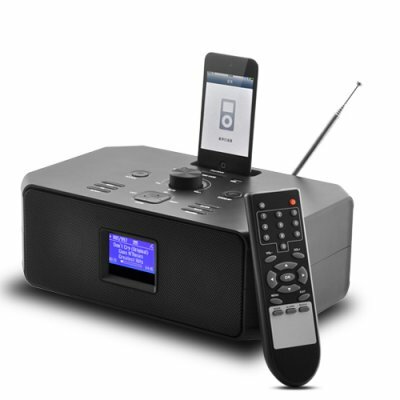 Successfully Added iPhone/iPod Dock with Internet Radio, USB/SD Music Playback and Record Function to your Shopping Cart. A whole new world of high quality audio entertainment brought to you by this multifunctional iPhone/iPod Dock with Wi-Fi Internet Radio, USB/SD Music Playback and Record Function. First and Foremost, this iPhone/iPod dock will directly play your favorite music collection from your iPhone 4, iPhone 4s, iPod, or iPod Touch through its high power speakers. With treble and bass adjustment, you can always choose the best sound effects to suit your taste. In addition, you can also stick in your USB drive or SD card and play music directly through this iPhone/iPod Dock. Second of all, with internet radio you get access to endless hours of FREE entertainment. You can easily use a Wi-Fi dongle or the Ethernet port to connect to internet. With just a few clicks, you will be able to choose from thousands of free internet radio stations and listen to news, sports events, music, audio book, etc. And if you like them, you can simply press the record button and record them directly to your USB or SD card. 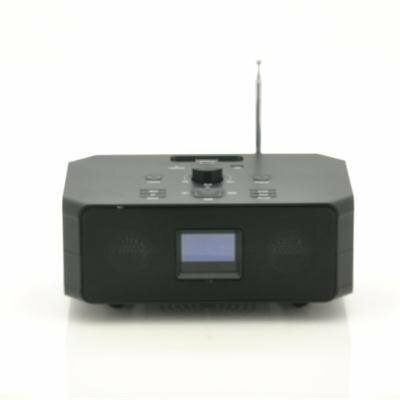 Portable and sturdily built, this iPhone/iPod dock is a must have for anyone who likes listening to music, or who wants to stay abreast with news and all kinds of music worldwide. It’s a perfect Christmas gift for anyone who has an i-device. It’s also perfect for you to resell and make some profit. Order today and we will ship tomorrow. Brought to you by your source for cool gadgets, Chinavasion. This product is believed to support the use of WiFi Dongle/3G dongles utilizing the RT2571 chipset, however, please note: This feature is unsupported by Chinavasion and we are unable to provide any support or information regarding the usage or compatibility of third-party WiFi Dongle/3G dongles. "Apple", “iPhone” and "iPod" are trademarks of Apple Inc., registered in the U.S. and other countries. on 2011-12-14 20:51:22 Dahili WİFİ yok ! Cihazda dahili wifi olmaması büyük noksanlık.